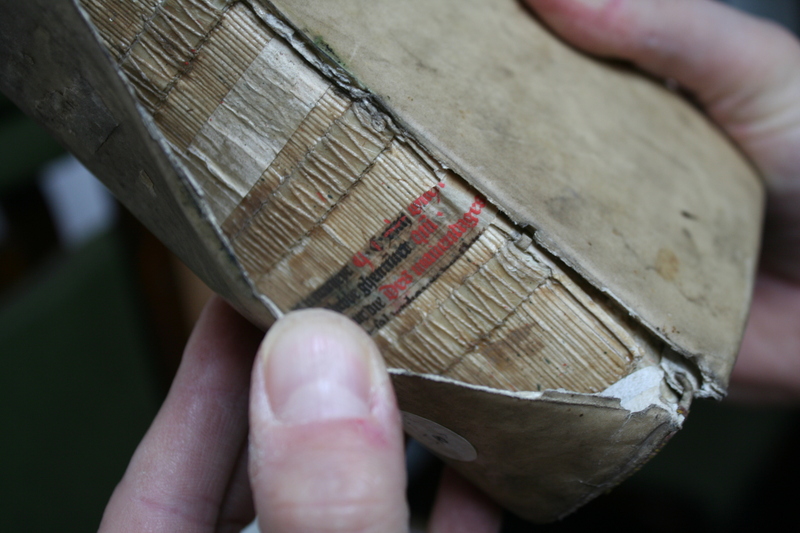 If you have worked with medieval or early-modern books you will likely have encountered them: tiny pieces of medieval parchment sticking out of bindings, and parts of manuscript leaves glued to the inside of boards. 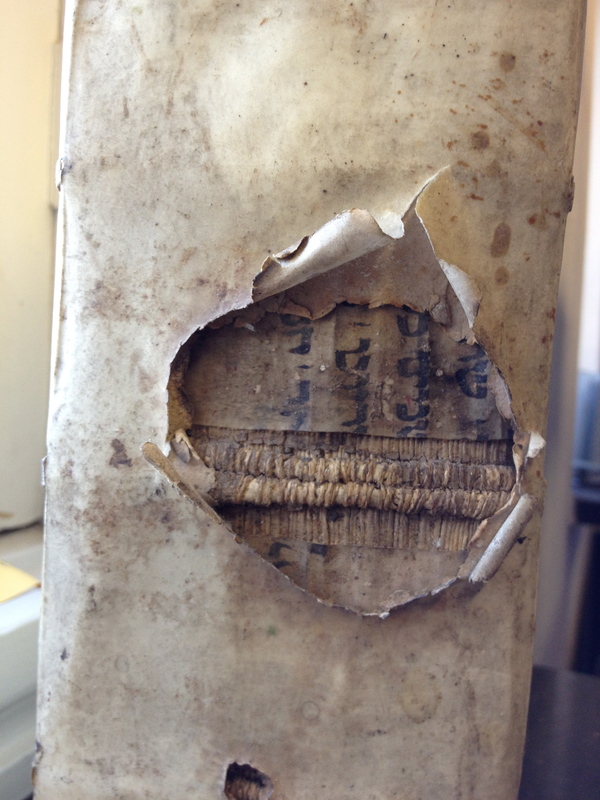 This hidden treasure is what makes handling pre-modern books in their original bindings so thrilling and addictive. Such fragments of medieval manuscripts form a most useful research object for the historian of the book, and, indeed, for the historian of human communication. They are the heavily damaged remains of objects that do not survive because they were cut up to be used as binding support. When Gutenberg invented moving type, handwritten books became old-fashioned overnight. All over Europe they subsequently became the victims of recycling at the hands of binders: like cars at a scrap yard, their bodies were mutilated and diminished until nothing was left. It is not easy to cut up parchment quires, but judging from the evidence staring at us through the cracks in the leather today, book binders excelled at it. The frequent emergence of new fragments and the importance of their contribution to the history of medieval text and book production prompts the exciting question of what else may be out there for us to discover? It is thus important to take these damaged goods seriously and describe the fragments in as much detail as one would with a full manuscript. That said, it is not easy to make sense of the remains. Binders seem to have particularly enjoyed slicing text columns in half, as if they knew how to frustrate future researchers best. Identifying what works these unfulfilling quotes come from can be a nightmare. Dating and localizing the remains can cause insomnia. Nevertheless, they are thrilling experiences, and great tools for getting others, including the public at large, inspired. Next week the department where I teach, Book and Digital Media Studies at the University of Leiden, is taking 15 students to Rolduc Abbey, where dozens of fragments have emerged (including those pictured here). Whatever the outcome of our work on these remains will be, it will surely be a most satisfying experience.